I don't know about you, but I am loving everything minty fresh for spring. 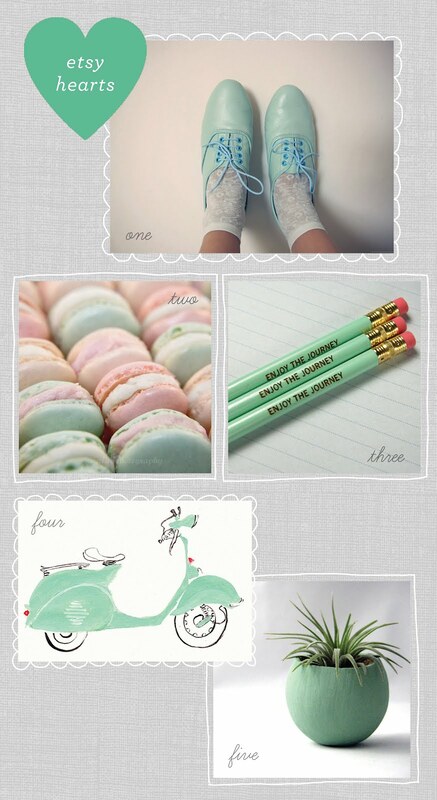 Here are some of my favorite pale green Etsy finds. How amazing are those oxfords? You can choose your color and they will be made to your size—so awesome for only $39! Loving the vespa illustration. I have always wanted to own one! Sprint mint! Sounds and looks delicious! Beautiful collection!